The Rhino, a great beer bar located at 1249 Queen Street West in Toronto, has just received a massive private order of beer from Garrison Brewing of Halifax, Nova Scotia. A number of these beers are making their public debut in Ontario. The Rhino has limited quantities of all of the above beers – so get out there and try some before they’re gone! 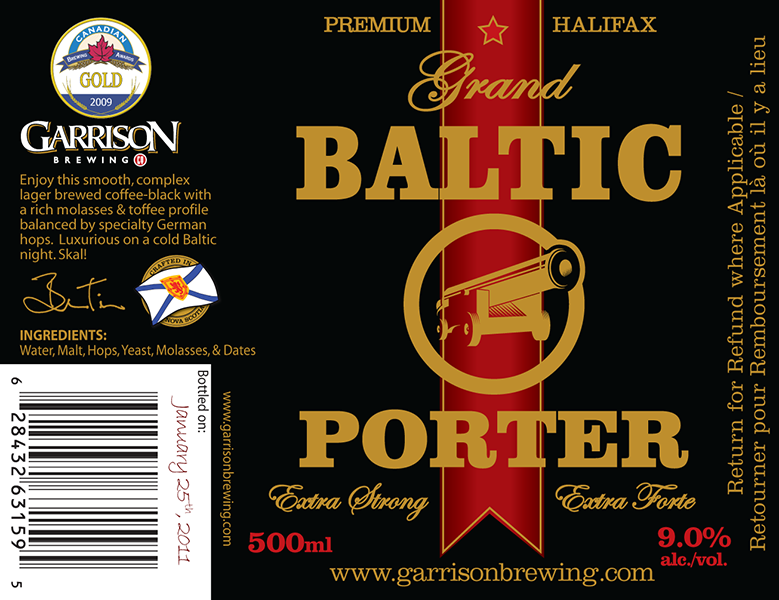 This Friday, February 25th Bar Volo will be debuting a mini-feature of some of the big beers from Garrison Brewing of Halifax, Nova Scotia. Garrison’s biggest beer of them all, Ol’ Fog Burner Barley Wine. Volo has limited quantities of each of these beers, so get them while you can – they will be sure to keep you warm as our winter lingers on. Bar Volo is located at 587 Yonge Street in Toronto. 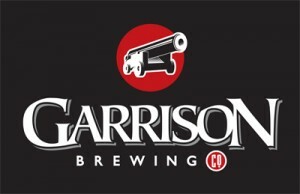 Garrison Brewing is represented in Ontario by The Bar Towel. 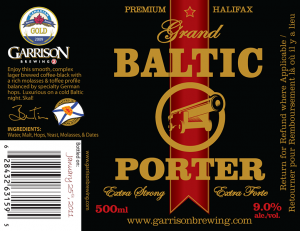 The Burger Bar, a relative newcomer to the Toronto beer scene but a spot that has quickly shown its dedication to craft beer, is now offering a limited amount of two beers from Garrison Brewing of Halifax, Nova Scotia. Available in bottle are both the award-winning Black I.P.A. and Hop Yard Pale Ale. The Black I.P.A. is a dark and hoppy brew, which won, in its debut year, the Gold in the Imperial Stout category at the 2010 Canadian Brewing Awards. Also available is Hop Yard Pale Ale, a West Coast style pale ale, which also took home a Silver in the North American Style Pale Ale (Bitter) category at the ’10 CBAs. 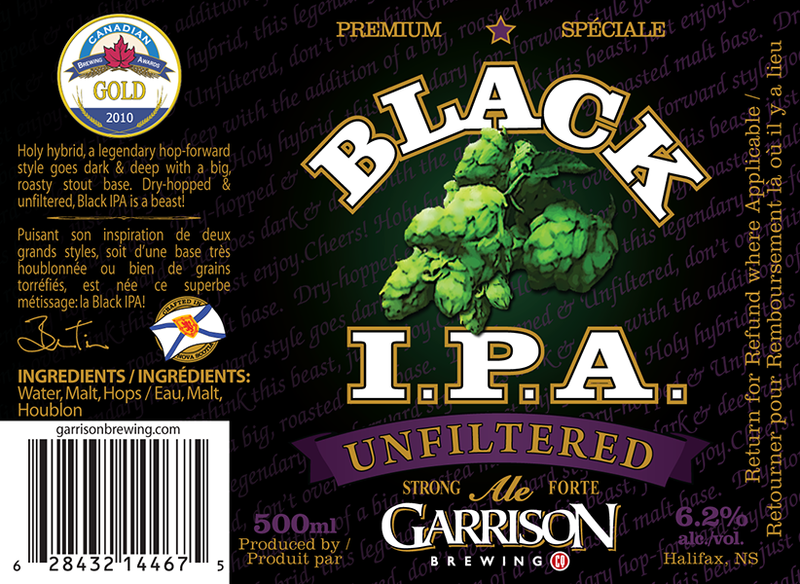 This is the first time that Garrison is available since their Imperial I.P.A. was released as part of the LCBO’s Autumn Ale release last fall. Garrison is represented in Ontario by The Bar Towel. The Burger Bar is located at 319 Augusta Avenue right in the heart of Kensington Market in Toronto. Dieu du Ciel!, one of Canada’s top breweries, and beerbistro, one of Canada’s top beer restaurants, are joining forces for a mega beer dinner on February 8, 2011 from 6-10pm. Known for its extravagant and memorable beer dinners with breweries such as Dogfish Head, Allagash and BrewDog, beerbistro’s Dieu du Ciel! dinner will feature a 10-course tasting menu, each course paired with a different beer. Some of the beers being featured at the dinner will be making their first appearance in Toronto. 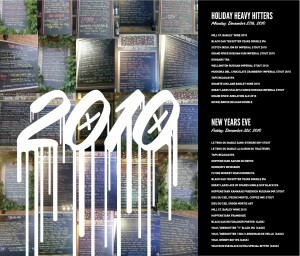 Tickets are $125 per person, plus HST and gratuity. They are available now by calling the beerbistro at 416-861-9872. ** All beers will be served in 300mL glassware. The Garrison brands will be available as part of a new bottle menu at Volo, which also includes beers from Central City, Charlevoix, Dieu Du Ciel!, Les Trois Mousquetaires, Driftwood, Alley Kat, Half-Pints. Stone, Rogue, Southern Tier, Phillips, Flying Dog, Moylans, St.Bernardus, Brooklyn, Panil, Southern Tier, Paddockwood and Meantime. The much-anticipated Duggan’s Brewery, operated by Michael Duggan, former head brewer at Mill Street, has opened. The new downtown brewpub is located in the former Denison’s location at 75 Victoria Street, near Yonge & Adelaide. The pub opened with a lineup of house-brewed beers and a full menu. Beers available at the pub’s open include an Asian Lager, Festbier, Weisse, Porter, Stout and of course Michael’s well-known No. 9 IPA. 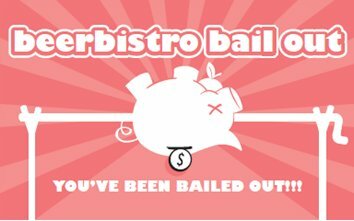 beerbistro (18 King St. East) is offering guests their own Economic Stimulus Package: each day of the week, at least one table of guests will be randomly selected to receive a bail out, meaning that beerbistro will buy them their drinks and meal. At least once a day, a table of guests will receive, instead of a check, a card announcing that they have been bailed out and that their bill is on the house. 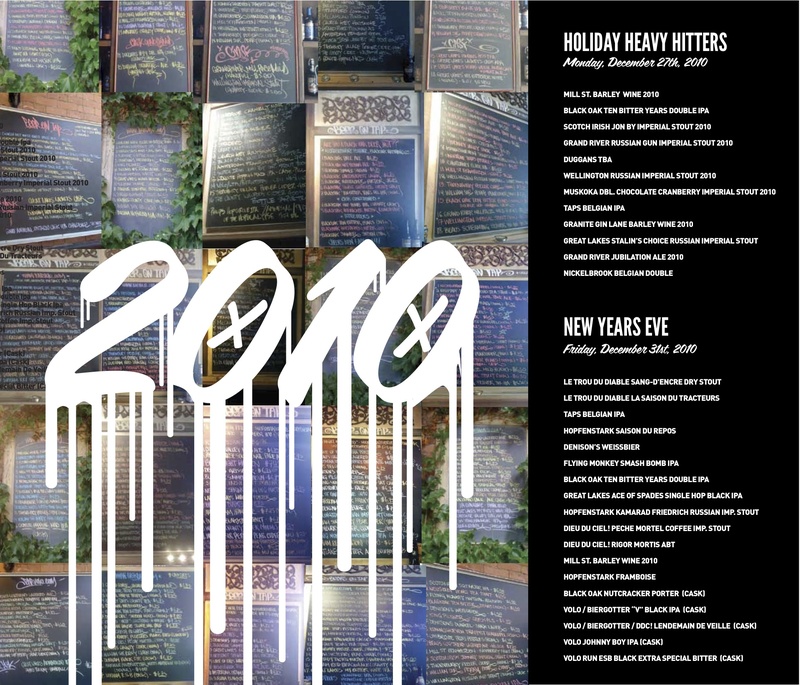 beerbistro has also launched a new winter menu featuring many old favourites such as Maudite Beef Stew, Fancy Shmancy Lobster Mussels, Duck Confit Corn Dogs and the famous Pulled Pork Primanti sandwich, along with some new features like the Peruvian-style Grilled Chicharrón Sandwich, Chickpea Tikka Masala and in-house Smoked Chicken Pizza. Sad news for fans of good beer in Kitchener-Waterloo and surrounding area, as the Castle On King (1508 King Street East, Kitchener) will be closing on Friday, December 12th. Owners Harold & Deanna had been attempting to buy the building from the owner, but failed to reach a deal, and can no longer afford to pay the monthly lease on the space.